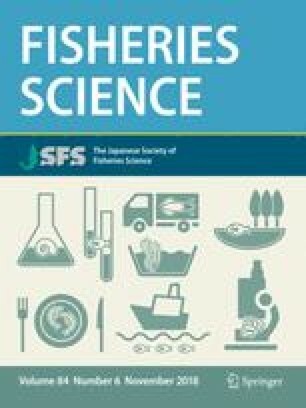 A sampling survey to determine the composition and distribution of freshwater eel species was conducted in 12 provinces along the coast of Vietnam from October 2014 to February 2015. The sampled provinces spanned the country from central Vietnam to the south, but freshwater eels were only found in the central part of Vietnam. Species identification of 77 specimens, collected from different habitats (rivers and estuaries), was performed by analysis of both morphological characters and nucleotide sequences of mitochondrial cytochrome oxidase subunit I (COI). The 77 specimens were morphologically and genetically identified as 58 Anguilla marmorata, 17 A. bicolor pacifica, and two A. japonica. This is the first definitive survey about the composition and distribution of freshwater eels in Vietnam where distribution has been hitherto unknown. This work was supported by a grant from New Zealand ASEAN scholarship to Anh Tuan Nguyen. This study would not have been possible without great help from local fishermen and my colleagues. We would like to thank Van Duan Cai, Ngoc Tung Nguyen, Ngoc Tan Nguyen, Quang Long Le, Nhat Duat Hoang and Nam Thang Ha for their assistance during the period of sampling in Vietnam. We also thank Tania King and Jo Ward for assistance with PCR and for providing universal primers. We acknowledge the help from Ken Miller with preparation of the illustrations and, lastly, are grateful for editorial comments on earlier drafts of the manuscript by Hazel Carmichael-Holmes and Jolyn Chia. This research complies with the current laws of Vietnam and New Zealand.